The Department of Music in the The School of Arts and Social Sciences welcomes Björn Heile as part of its 2018-19 Research Seminar Series. The seminars are open to all. No registration needed. 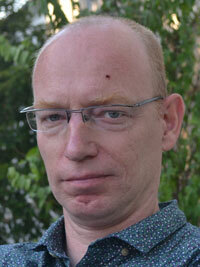 Björn Heile is Professor of Music (post-1900) at the University of Glasgow. He is the author of The Music of Mauricio Kagel (2006), the editor of The Modernist Legacy: Essays on New Music (2009), (2009), co-editor (with Peter Elsdon and Jenny Doctor) of Watching Jazz: Encountering Jazz Performance on Screen (2016) and co-editor (with Charles Wilson) of The Routledge Research Companion to Modernism in Music. He specializes in new music, experimental music theatre and jazz, with particular interests in embodied cognition, global modernism and cosmopolitanism. He has more projects than he cares to remember, most of which inhabit the twilight zone between the utopian and the doomed.